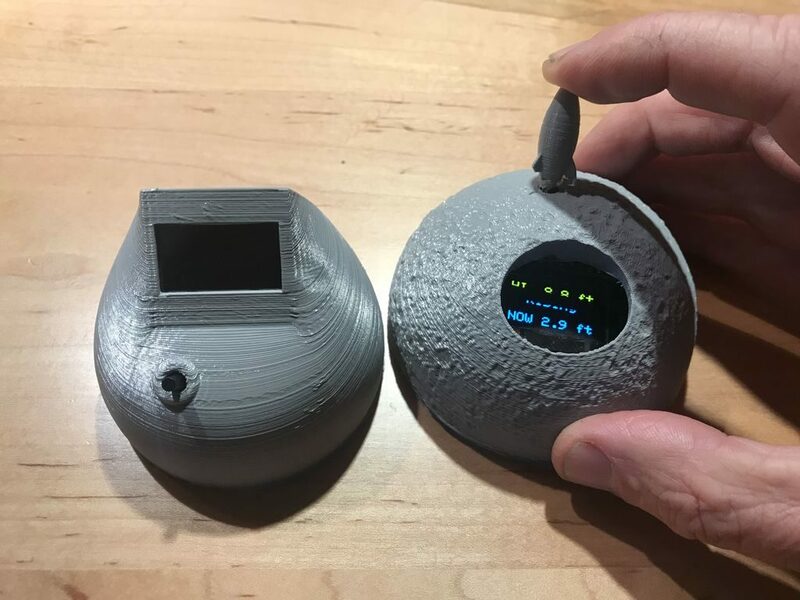 If you want to know the tide in your area, you could look it up in the paper, on the Internet, or using an app, but this moon-shaped tide clock provides a unique way to see what’s going on at a glance. The 3D-printed device uses an Arduino Nano for processing, along with an RTC module to keep accurate time—thus accurate tide predictions. 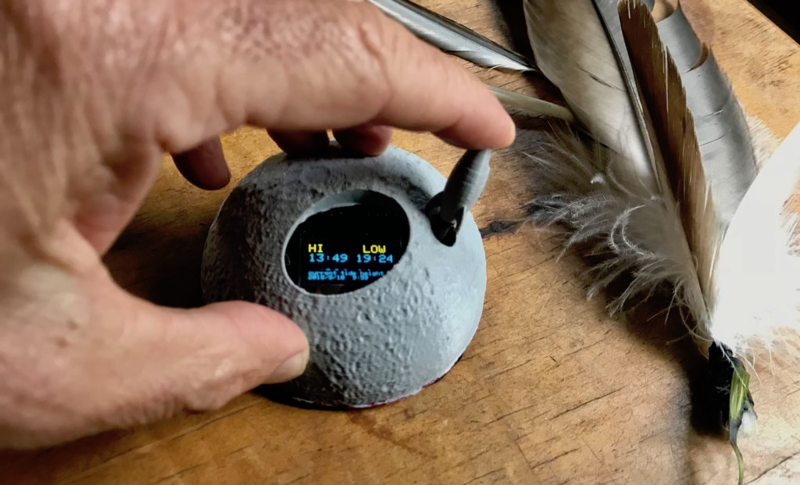 A tiny OLED display provides three info screens, selected via a rocket shaped button taking off of the moon’s surface. As the clock is meant for education, the moon design will provide a nice reminder of what actually shifts the tides. Arduino code as well as 3D-print files are available on the project’s write-up.